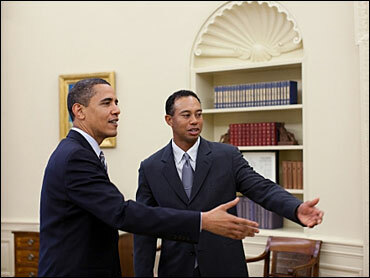 The Obama administration has released two photographs of Tiger Woods' Monday visit to the White House. 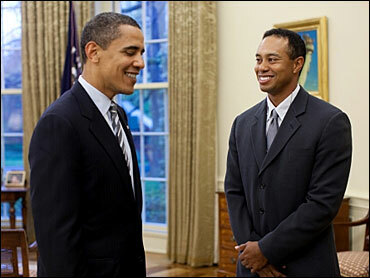 Staffers told the Associated Press that the president greeted Woods in the Oval Office, where the pictures were taken. According to the AP, the golfer "got a tour of the White House from Marvin Nicholson, an Obama aide who once caddied at the Augusta golf course, where Woods tied for sixth place in this year's Masters Tournament."